This (T3) course is an online self-directed learning graduate course. The instructor is the "guide on the side" and has provided her contact information for you. Naomi will check in with you through your reflections each week and will add guided facilitation tips and insights in the reflection area to add meaning and real world connections to your online experience. It is essential that you complete the course modules, the outlined activities, and reflections in sequential order. All modules can be located on the "Tab" sections on the top of the T3 web page for ease of organization. 1. How does a social network improve professional development and instructional practices? 2. How does an online group of learners build a true community? 3. What is the true value of meaningful reflection on a personal or professional learning experience? Reflections that you contribute each week are to be meaningful- where you share your new understandings with others, but you also provide quality feedback to others to aid to their learning experience as well. 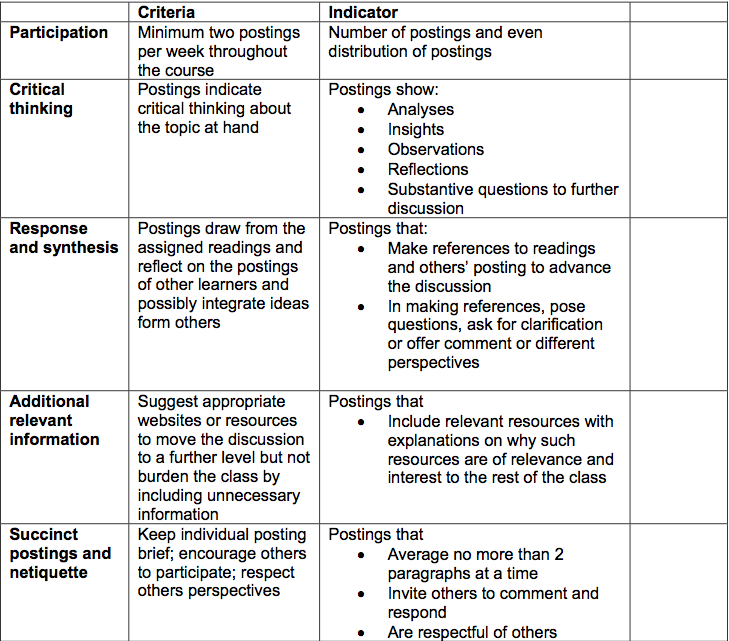 I have provided a rubric of what a quality and meaningful reflection should include to guide your reflection process.